A Dog's Way Home opened earlier this month to decent box office. Many believed it was the successor to the hit 2017 family drama A Dog's Purpose. An easy mistake, the actual sequel is called A Dog's Journey, and it's in theaters this summer. So, yeah, it might suddenly feel like there are a ton of Dog movies coming out. Today, we have the trailer and a poster for A Dog's Journey. It isn't deja vu. This is a wholly original family adventure that takes a strange spiritual turn and hints at doggy reincarnation. It's sure to be another crowd pleaser. But if you couldn't stand watching Marely kick the bucket, you might want to bring a whole box of Kleenex, as Bailey the dog is going to die multiple times. But it's all for a good purpose. Thus begins Bailey's adventure through multiple lives filled with love, friendship and devotion as he, CJ (Kathryn Prescott), and CJ's best friend Trent (Henry Lau) experience joy and heartbreak, music and laughter, and few really good belly rubs. Directed by Emmy winner Gail Mancuso (TV's Modern Family), A Dog's Journey is produced by Gavin Polone (A Dog's Purpose), and written by W. Bruce Cameron & Cathryn Michon, and Maya Forbes & Wally Wolodarsky, based on the best-selling novel by Cameron. The film, from Amblin Entertainment and Reliance Entertainment, in association with Walden Media and Alibaba Pictures, will be distributed by Universal Pictures domestically, and by Universal Pictures and Amblin Partners internationally. A Dog's Purpose came under fire when some behind the scenes footage saw a dog being mistreated on set. PETA boycotted the film, but it still went onto become a substantial hit. It grossed $64 million domestically from a $22 million budget, making it a modest hit in the states. But the family adventure was huge in China, guaranteeing a sequel. The first movie brought in $140 million overseas, for a worldwide gross of $205 million. 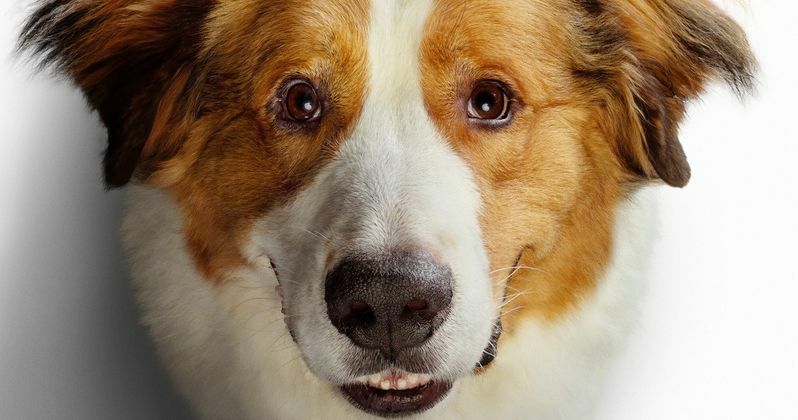 That has franchise written all over it, and as mentioned before, A Dog's Way Home certainly benefited, earning $30.7 million domestically before picking up $41.2 million worldwide off a $18 million budget, though it is not part of this particular saga. Along with the trailer, Universal Pictures has also released several character posters that show each of Bailey's lives. What, does he think he's a cat?